Your personal information can be stolen any time, anywhere. And from Black Friday until earlier this week, there’s a good chance it happened to you. During the busiest shopping weeks of the year, Target experienced a huge data breach, where over 40 million Americans’ credit and debit card information was stolen. 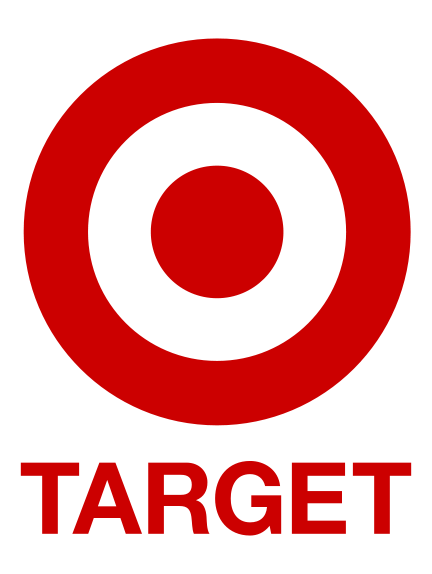 If you shopped at Target recently, you should immediately cancel the card you used and have a new one issued. While the prospect of fraudulent charges may concern you, what is far more concerning is that online criminals often steal your credit card information to create new counterfeit cards. In a minute, we’re going to talk about Masked Cards, a new way to shop without using your real credit card by creating one-time use, private cards as you are transacting on a website or even in a store with your mobile phone. But first let’s dig into the details of the breach. How Could Target Let This Happen? Let’s get something straight. Target isn’t the only company that’s been successfully targeted for customer data recently. This year, LivingSocial, Zappos, Citigroup, Yahoo, Evernote, and many, many more websites were exploited for hundreds of millions of customers’ data (emails, passwords, credit card data, and more). Back in October, leading software company Adobe experienced a data breach where millions of customers’ credit cards were compromised. But the truth is, data breaches happen every day. You only hear about them when a big company’s data is breached, affecting millions. Datalossdb.org details almost every breach that takes place. There are dozens every month. Think about the number of websites, stores, and places that you give your name, email address, phone number, zip code, and (gasp) credit or debit card information every day. You trust these strangers to keep your information safe. But how do you know where they keep your information, and what measures they take to protect it? While it isn’t originally thought that Target’s data breach affects online purchases (yet), by nature online purchases are riskier and more susceptible to fraud because you (the buyer) aren’t physically handing your card to a cashier. It’s harder for the merchant to confirm you are you. As an online privacy company, we’re in business to help you gain better control over how you give out (and let others use) your information. And your credit card is one of your most important assets to protect online. Normally part of DoNotTrackMe’s paid service ($5/mo. ), these are right now free for the holiday season. If you use a Masked Card: While hackers access Target’s database of credit cards, your card on file is an inactive credit card with no money on it. Moreover, you used a fake name, and your billing address is 280 Summer Street in Boston (our office). You read the news of the data breach, take a breathe of relief, and get on with your life, feeling unexposed and super smart. Masked Cards are the best way to protect your credit card online. Get Masked Cards for free for 30 days. Sounds nice…but masked cards are no help when you are at the brick and mortar stores. Hi Shirley – DoNotTrackMe’s Masked Cards can be created via your mobile phone and provided to cashiers (like virtual gift cards), although you’re right that it is much easier to use them online. But this has to mean card info is given to the company issuing the marked card. How do we know that company is secure? Hi Kim – You’re right that you have to provide your credit card to us (we, Abine, issue these cards to you). The point is that the more places you store your credit card, the greater chance your information can be stolen. If you just keep it in one place and use Masked Cards everywhere you shop, you’ll be much better off!